Ever since the film released on January 26, Kangana Ranaut starrer 'Manikarnika: The Queen of Jhansi' has been jumping from strength to strength. Now, post the success of the film, the actress and director got candid about her project. 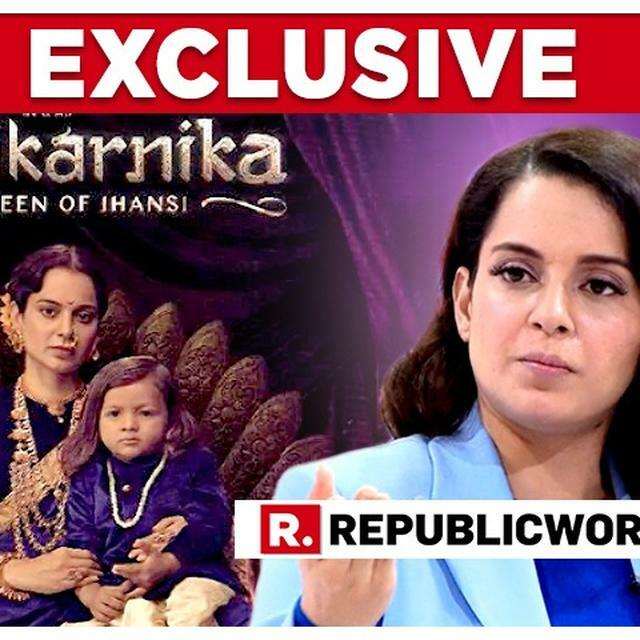 Ever since the film released on January 26, Kangana Ranaut starrer 'Manikarnika: The Queen of Jhansi' has been jumping from strength to strength. The film which opened to mostly positive reviews has especially received a big thumbs up from the audience. Now, post the success of the film, the actress and director got candid about her project. In an exclusive interview on Court Martial on Republic Bharat with Arnab Goswami, the actress got frank about accusations that she has cut out portions of other actors in the film. Speaking about the same, she said, " Tell me one thing, whoever has seen this film so far has said that this is the best historical film they have seen so far. Who made this film? I made it right? Will I take small actors who can't act or those who do?" Then, taking the example of Ankita Lokhande, who had a significant role in the historical epic, continued, "Ankita Lokhande, she is getting such a good review. It is being said that nobody has acted better than her. If someone hasn’t acted well, is it my fault?" Kangana is, of course, referring to actress Mishti Chakraborty, who played the role of Kashibai in the film, who alleged that she had cut out a major chunk of her portions from the film. But where there are naysayers, there are way more supporters as well. Recently two legendary veteran actresses of Bollywood, Waheeda Rehman and Asha Parekh were all praise for the actress and the film. In a statement, Rehman stated that "I am highly impressed by Kangana's performance and direction in 'Manikarnika'. She looks absolutely fabulous and beautiful." Parekh, on the other hand, was quoted as saying, "I really liked it, she has done a great job and worked really hard. I hope the film runs for a very long time... She indeed looks like the Rani of Jhansi in the film."